My red cabley cardigan! It’s been motoring along despite by lack of faithfulness to the project. Irritatingly, it appears that the first skein I picked up (to knit the left front) was the least variegated and darkest red of the skeins. Clearly I should’ve paid more attention, because it was a bit difficult to pick the skein for the second front! 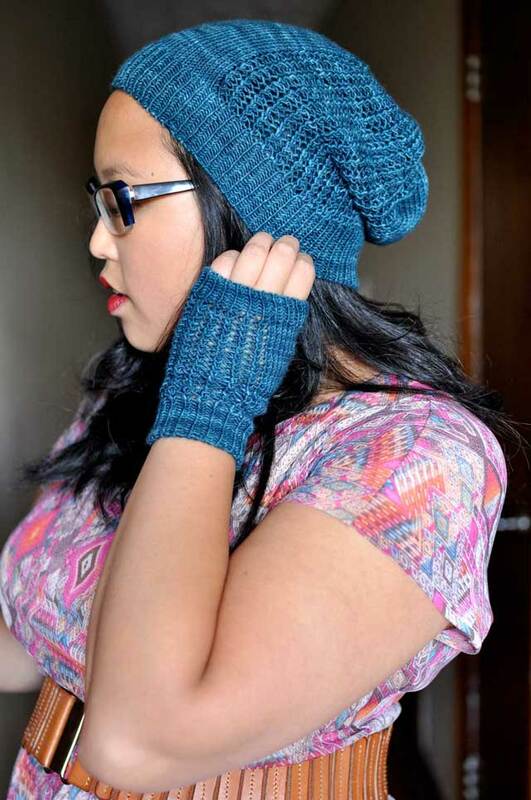 I know I should’ve alternated skeins – I did on the back – but well, I got lazy. The sweater still got made, though! That front is the last piece! And it’s actually off the needles now. I’m just about to start sewing it up, then come the bands and collar. Almost done, almost done. What a beautiful shade of red! 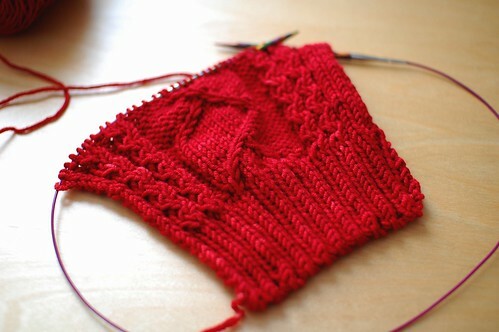 I can’t wait to see the finished cardigan. 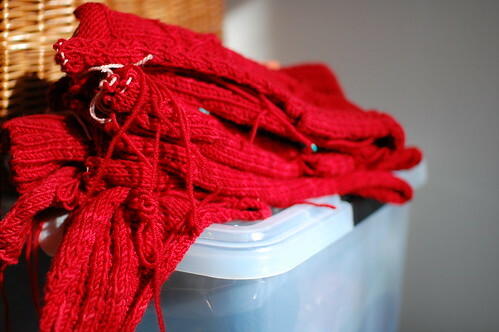 It’s all the putzy stuff at the end that always irritates me; I just want it done! You always pick fabulous colors for your samples. Hopefully a pattern will come shortly after you do the finishing :-). I’m so excited to see it all done up. Can you show us how to sew seams? I’m always making seamless garments because I’m scared to sew things up! Wow. You’ve been a knitting machine lately. Are you forgoing sleep to get all of this done?